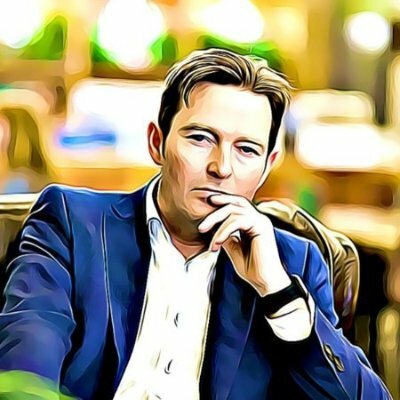 Silverfin ceo Joris Van Der Gucht asked me to write a blog post for their Connected Accounting Authority blog. Considering my role as New Technology & Innovation Advisor for 216 Accountants, he expected some food for thought. So here we go. (Just to be clear, I write this article in a personal capacity). This past December I was invited by the EFAA, the European Federation of Accountants and Auditors for SMEs, to speak in Slovenia about the future of accounting in the age of digital innovation and new technology. I spoke about new robotic applications in the field of accounting and the developments surrounding blockchain* & Bitcoin*. Why? Because I wonder: how many accountants have ever checked whether their clients have a Wallet with Bitcoins? Wake up! Those clients exist. As far as I’m concerned, it’s quite clear and has been for some time: when it comes to change and innovation, accountants and related software suppliers live in a fairytale world. Meanwhile, the outside world is undergoing a significant change. In my opinion these changes are brought on by FinTech* solutions, and in particular by PSD2*. In this area I see it as an opportunity to develop new services and improve existing ones for our clients. However, the past couple of years PSD2 was not high on the agenda in terms of a Private Equity topic. That’s unfortunate, because consequently it was hard for accountants to bring the topic to attention within their firm. Not to mention actually investing in it. Will Small & Medium Businesses still need an accountant 3 years from now? But ‘what-if’ the “simplistic” accounting needs of the SME will be fully automated within 2-3 years due to innovations in payment transactions? Is this a realistic scenario, or am I just trying to get your attention? Ever heard of Tellow.nl? It’s a one-stop solution for both banking and accounting for independent contractors in The Netherlands. An innovative product from a Dutch bank. Wake up! And take Germany for example. If I look at how they work with the API*-platform figo.io, I really feel inclined to say that the ‘what if’ mentioned here above might not be so unrealistic after all. Figo.io is a platform that makes use of the first developments in the field of PSD2. The platform provides apps that can deliver real-time added value to the user, based on payment data (behavioral data), provided with consent of the user. Behavioural data can be a good indicator of future behaviour and decision making patterns. The possibilities for innovative services are endless, especially when combining financial data with non-financial data. For companies like Google and Facebook (under Irish bank licence since October 2016), this behavioural data is long awaited. In the future they will be able to provide their users in the European Union with payment services directly on their Messenger application. Is the accountancy industry asleep? Banks view the rise of PSD2 and FinTech as a threat: possibly a part of their services will become redundant, and as a result there will be a need for new business models. At the beginning of this article I stated: the world is undergoing a significant change. Is our industry still in a state of sleep when it comes to innovation? In our field of work we function based on the premise that the client needs us; for information, reporting and advice. It’s all about our specific corner of the playing field and the related services we offer. But as a result of innovation, (predictive) information is becoming directly available to clients. And then the key question occurs: in that case, what is the added value of the accountant? In the light of new technological developments, our right to exist is not unquestionable. Will technology also rob accountants from their role as trusted advisor? Keeping the perspective of the business owner in mind: what does the business owner actually do at the bank? He pays invoices and from time to time he may need short term finance regarding his working capital. The business owner would turn to his accountant for these kind of matters. Right? Accountants collect the invoices and combine them with payment data, but by the time that process is complete, the information is already outdated. The customer pays top price for this extra service, but is he satisfied? How will you earn your bread and butter as a professional service provider when your client can satisfy his daily bookkeeping needs by simply using an app? There are some smart new banks out there like Bunq and N26 that have made payments via API available as an accounting solution. Call it ‘Bank connection 2.0’, if you will. This means that the business owner can upload or forward invoices to his accounting program and pay the invoice directly (on the actual date), without having to go through his bank for authorisation. Some providers of accounting software combine these data streams with a chatbot to provide liquidity advice for example; that way there is no need for the client to wait for advice from an “expensive” accountant. Besides bookkeeping, the accountant might also lose his advisory services at that rate! Don’t be a sitting duck: offer innovative services now! I cannot predict the future and answer the question if the SME accountant is on the brink of an ‘end-of-life cycle’ despite the digital transformation. All I can do is to offer some perspective. Patiently waiting to see what happens is not a good option, don’t be a sitting duck! At 216 Accountants in the Netherlands we are continuously looking for innovative ways to offer added value and diverse services for clients. What about you? How are you facing the challenges ahead? Martin de Bie is new technology & innovation advisor for 216 Accountants. At 216Lab based in Amsterdam, he is involved with innovative technologies such as blockchain and artificial intelligence and the consequences for the financial services and accounting industry. *Bitcoin: Bitcoin is a type of electronic currency (cryptocurrency), and also the name of the open source software developed for use of this currency. Bitcoins can be stored in a Wallet or blockchain on a computer, mobile device or on cold storage (USB). *FinTech: FinTech is a combination of the words financial and technology. The term includes all innovative financial products and services that simplify or speed up the way we use money. *PSD2: The Payment Services Directive (PSD, 2007/64/EC) is an EU Directive, administered by the European Commission (Directorate General Internal Market) to regulate payment services and payment service providers throughout the European Union (EU) and European Economic Area (EEA). The Directive's purpose was to increase pan-European competition and participation in the payments industry also from non-banks, and to provide for a level playing field by harmonizing consumer protection and the rights and obligations for payment providers and users. *API: In computer programming, an application programming interface (API) is a set of subroutine definitions, protocols, and tools for building application software. In general terms, it's a set of clearly defined methods of communication between various software components. A good API makes it easier to develop a computer program by providing all the building blocks, which are then put together by the programmer. An API may be for a web-based system, operating system, database system, computer hardware, or software library.